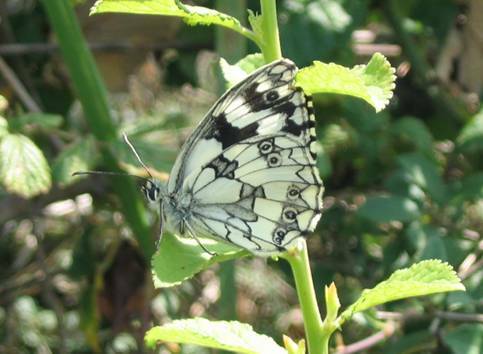 The markings on the underside of the female are brown rather than black. 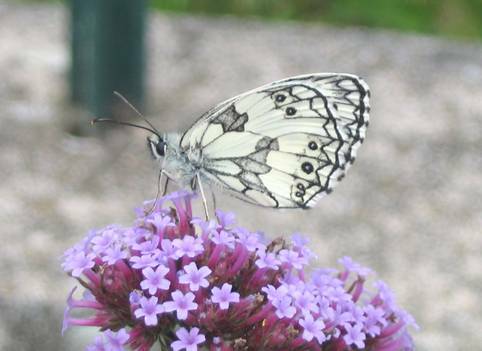 This ‘brown’ is actually black and white and the ‘chess-board’ uppersides of the butterfly make it very conspicuous. 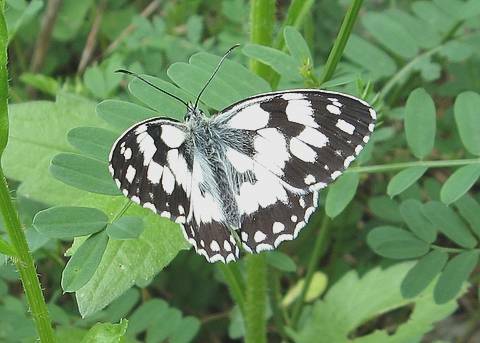 The species is very abundant at some sites during the flight period. 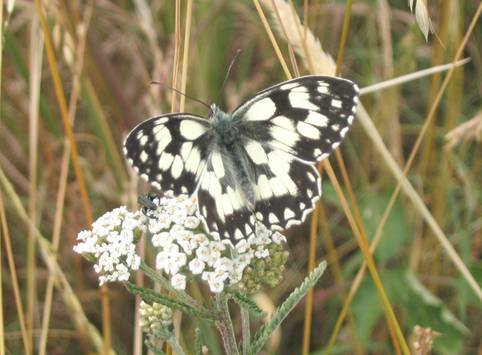 Numbers start to dwindle in the latter part of July and most very occasional August sightings are at higher altitudes. 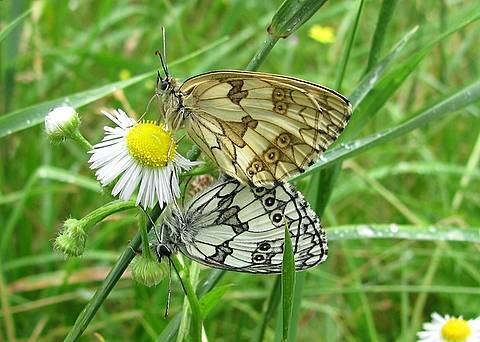 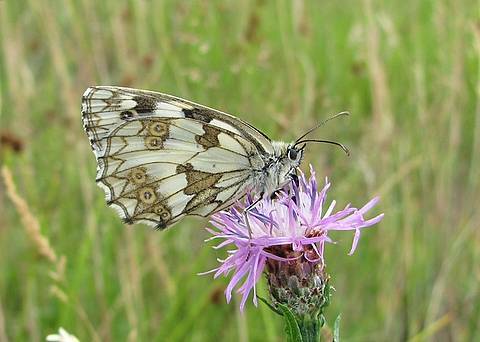 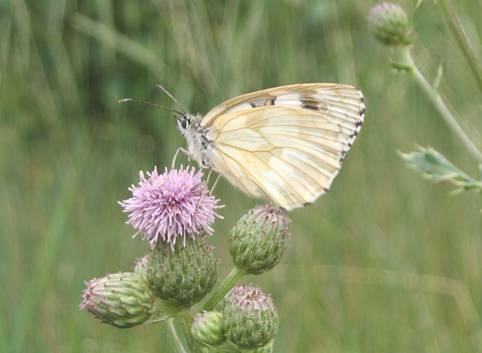 Adults are very fond of nectaring on knapweeds. 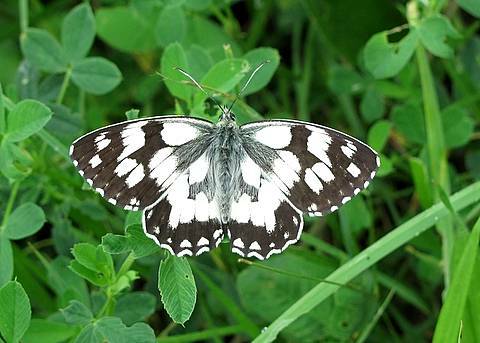 There is a locally recurrent form leucomelas which has the underside of the hindwing basically uniformly white all over.